With comedy tailor-made for Matthew Broderick and the delightful Kelli O’Hara, Nice Work if You Can Get It is a tribute to Gershwin and the musicals of his era, with a thin, silly story, wonderful songs and all the mugging a girl could ever want. If you feel musicals tend to be over-the-top and trite, you’ll want to stay far away from this one, but if you find yourself pining for some silly, escapist fun, reviewers agree, this kitschy show might be just what you’re after. I saw the show twice and it is simply marvelous. 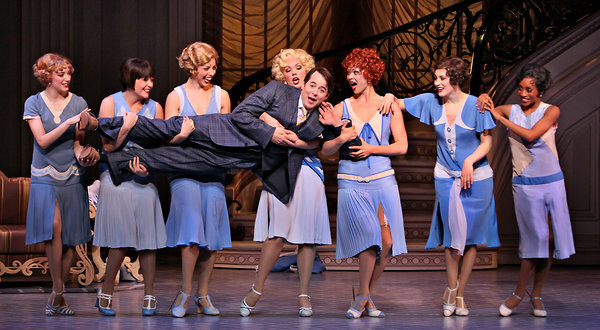 Matthew Broderick is fantastic, energetic, roaringly funny — he dances like an angel. The idiot reviewers who think this is fluff are too ignorant to know the genre they are reviewing nor the endless complex and delightful references to old movies, the period and the moves of Gershwin’s time in history. Bravo foir Matthew! Boo to ignorant critics! So glad the show is sold-out for months…When are we going to begin to ignore tyhis idiot critics?